Team India skipper Virat Kohli, who also happens to be the number one Test batsman in the world, has time and again expressed that he is absolutely in love with the traditional format of cricket. The modern-day great, who has excelled in different conditions across the world, believes that five-day cricket is 'the most beautiful format of the game'. "I think that if you really understand the sport, if you really love the sport, you understand Test cricket and you understand how exciting it is," Kohli was quoted as saying by icc-cricket.com earlier this year. 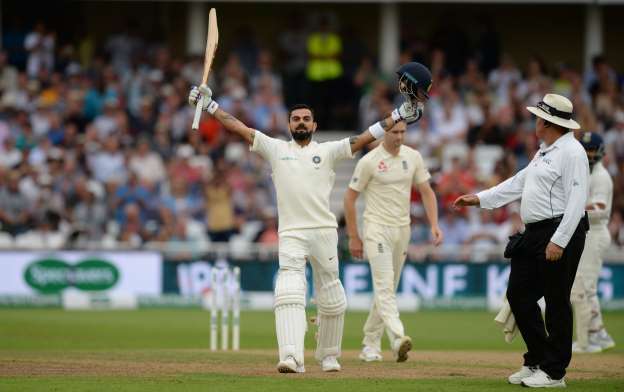 Former England captain David Gower said comments made by Kohli, during India's 4-1 Test series loss in England, are significant. "We had a fantastic series against India, closer than the margin suggests," said Gower, one of the leading Test batsmen of his era. "It is a reflection of the balance of power if Virat says that - you've got a lot of people who will listen," explained Gower, who said the introduction of a World Test Championship from next year will help provide greater context for matches. Currently, Kohli is leading his troops in a full series Down Under and it is believed that in the absence of Steve Smith and David Warner, this is India's best chance to win a Test series in Australia. India, who are still to win a Test series Down Under in 11 attempts since 1947, were beaten 2-0 in the summer of 2014-15. India's tour of Australia started with a three-match Twenty20 International (T20I) series that ended in a 1-1 draw. The two teams will now face-off in a four-match Test series before playing a three-match one-day international (ODI) series in January.